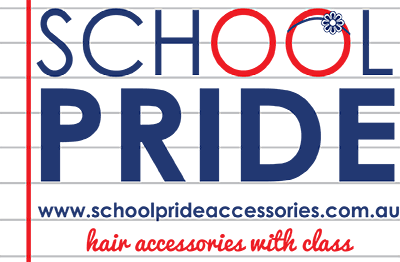 At School Pride, we help you and your Australian school community look its best with a range of quality-made, affordable uniform hair accessories that match your school uniform colours and fabrics. 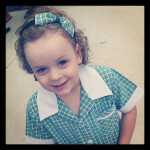 Hi, I’m Naomi the mind, Mum and head designer behind School Pride. What do mums want? What do I want from a good hair accessory? Practical but gorgeous at the same time. All items created with excellent quality materials to last the entire school year and beyond. A range of hair accessory styles to accommodate different types of hair. Thick or thin, curly or straight, short, medium or long. A school hair accessory for each school child. School hair accessories that the school would approve of. Hair accessories that match the schools uniform fabric. School hair accessories that are made from the same fabric as the school uniform. Hair bobbles, Head bands, Snap Clips, Bobby pins, Ribbons, Elastics, Hair ties, Buttons. School colours red, green, navy, burgundy, gold and MORE! The team at School Pride guarantees all of their work. I know how hard people work for their money and I never want anyone to walk away dissapointed with a product purchased from me. So if there is any issue at all, please, please contact us and we will fix it, we ensure your 100% satisfaction and promise that you will walk away happy. Our customer service is paramount. Not only do we have pride in our school accessories but also pride in our reputation. Some of our school hair accessories – Headband, Hair elastics, Hair ties, Ribbon bows, School uniform fabric bows, Snap clips, Elastic headbands, Korkers, Satin headbands, School uniform fabric covered headbands, School uniform fabric covered button hair ties in heart, circle and square shapes which are all professionally covered and industry standard right here in Australia! What’s unique about School Pride hair accessories is the quality of the components used. All our hair ties secure the hair and accessorize at the same time. What that means is there is no need to first tie the hair with an elastic and then add the bow…it’s all in one go! There is also a space for your child’s name or initial on the tag provided. School Pride hair accessories make those early school mornings a breeze for parents when it comes to getting ready quickly. With strong, attractive hair accessories that hold hair in place all day long. Priced reasonably for everyone to save on the costs of sending a child to school. No longer do you have to run around looking for a good hair elastic and location of that ribbon! Our hand made accessories make the elastic and ribbon all in one. A perfect bow, ponytail every time! Choosing which school accessory to wear is fun and exciting. Imagine being in school uniform wearing a matching school fabric headband? Something that is unique to your school. Cant find what you are looking for? Ask about a CUSTOM order via the ‘Contact Us’ section.